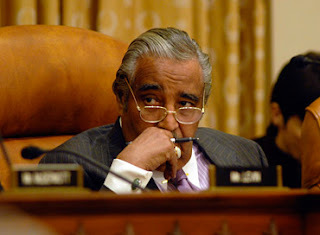 Democrats have resisted Republican efforts to remove accused tax cheat Charles Rangel from his powerful position as chairman of the House Ways and Means Committee. Now, crack are beginning to appear in that support. Surprisingly, the weakening of support is coming from Rangel's own New York delegation. Politically vulnerable junior Democrats have been agitating with more senior counterparts to intervene -- either with Rangel or with House Speaker Nancy Pelosi (D-Calif.) -- in an attempt to ease Rangel out as Ways and Means chairman until the House ethics committee completes its review of the allegations against him, members tell POLITICO.